When you want something really, really, bad, you put a lot of attention on that particular thing. You think about it all of the time. It is on your mind and your emotions are endlessly wrapped around the thought of getting it. If there is something or some other reason that you have about this thing, you put out a contrary vibration and cause resistance to getting that thing even though you really, really, want it. You may have a thought that if you have too much money you will become too arrogant and neglect your friends. So if you are seeking more money, can you see that you have controversial thoughts about having it? What we are saying is ” I want it, I want it not…” because we are really denying it’s coming by thinking negative thoughts about what will happen if we do get it. 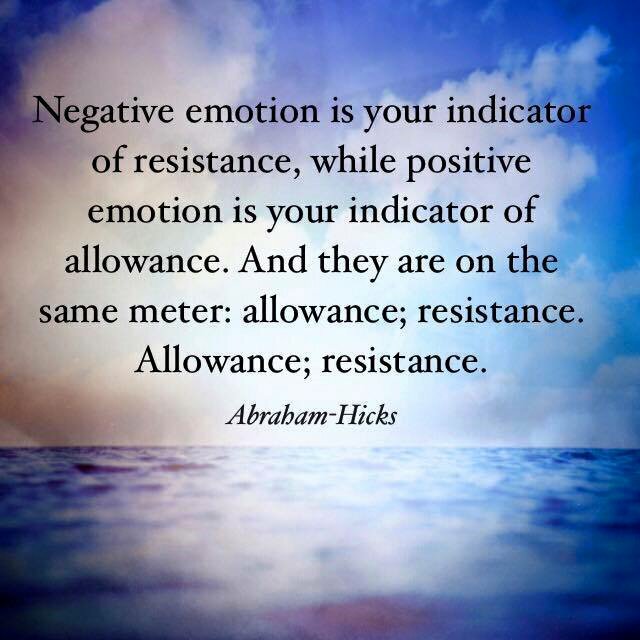 If you are feeling bad in any way, you have some negative emotions going on. Analyze your thoughts until you come up with the negative thing that is holding you back. Changing your thinking is life long journey of finding more clarity. Good luck with this because it is a never ending process. You never get it done and you always do it right. “I finally realized that my own self worth is not tied to any one else’s thoughts, words, opinions, actions or inactions towards me and that, totally eliminates the want or need for approval or acceptance from anyone other than myself. Yes, the only person who needs to openly Love, approve of and accept me, is me. I have learned to accept all the parts and pieces of me I was conditioned to either hate or hide, and Love all of me, unconditionally. 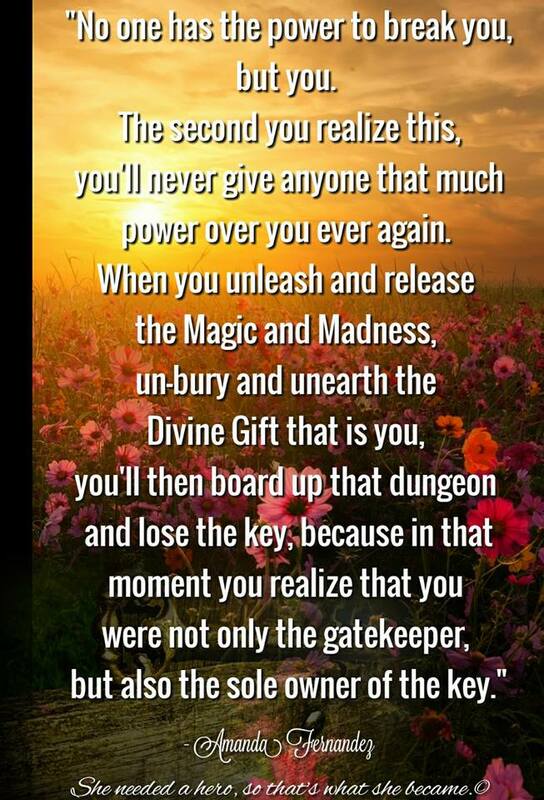 The very moment that you come to this realization, is magical. It’s the very essence of truly being free. We bury ourselves alive, don’t we? We get so hell bent on making sure that everyone around us is happy, taken care of, that their needs are being met and that they’re pleased. Somewhere in the midst of all that, we lose ourselves. Keep in mind though, that we’re never too lost, to find our way back because one day, and that’s the day the magic truly begins… But, one day we realize that all the Unconditional Love we’ve given, every bit of it, we can also give to ourselves. So, you reach into your own Soul and piece by piece, brick by brick, layer by layer you let go of all of the Soul-Doors that aren’t yours, of everything that isn’t Uniquely you. You let go of all the anger, hurt, guilt, betrayals, resentments, rejections, mistakes and everything that someone else told you to be. Forgiveness, that’s what that is. Forgiveness is Freedom… YOUR Freedom. This is the part of Soul-Digging, Heart-Searching, Healing & Recovery that leads right to your Passionate Purpose and Spiritual Growth. This is the part where you stop being afraid of the magic of your own Light. You see? When you reach into the Sacred Space of your own Soul, you get to the core of who you truly are, all that is authentically, uniquely and Divinely you and even though you’d buried yourself alive, you still are and always have been there and no one can take that from you unless you allow them to. No one has the power to break you, but you. The second you realize this, you’ll never give anyone that much power over you ever again. 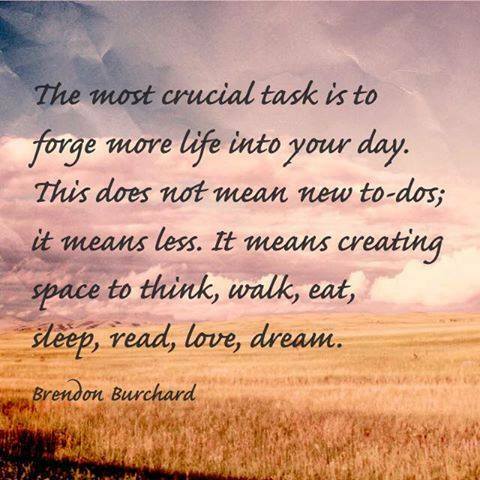 forge more life into your day. It helps to take some time to think about what is really important to you and make sure that is what you are pursuing in life. It’s easy to get so much going in the name of following your dreams or goals in life and yet you may be shutting out the people who love you in the process. 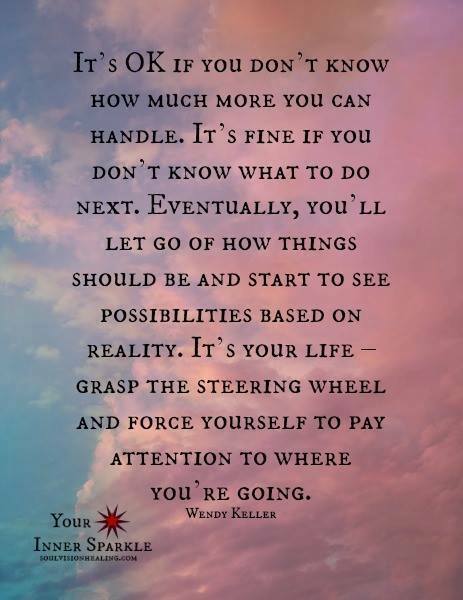 Making space to regroup and re prioritize the things that are the most important to you will let you seek and find those things and bring them into your reality. Fulfilling your real hopes, wishes and dreams. Good luck as you forge more into your day creating a life with more meaning and happiness. In other words – start where ever you are. You can always improve where you are – if you really want to, because you never really have it done. In life there is always room for growth. 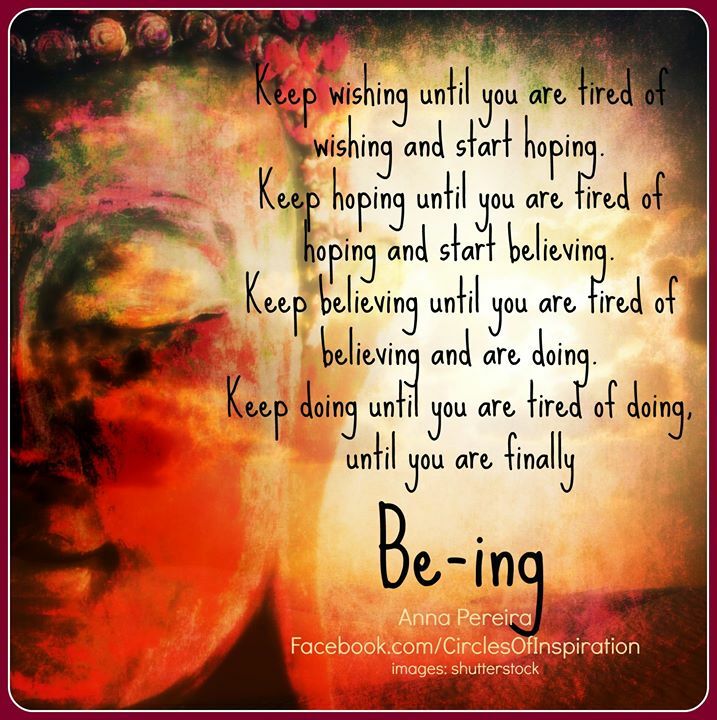 If you are at the “wishing” stage – it’s ok.
You have to have a launching off place. Sometimes it just takes a change in thought to realize that you can quantumly jump through the other stages, if you can be appreciative of where you are now. Appreciation holds you in perfect vibration so you are instantly “Being” instead of desiring, hoping, and wishing. Appreciation brings you to the highest place you can be, the state of BEING. And then for some reason you become aware that you want something else. You want to attract and receive something more. So you start over again with a desire to attract and allow. Inertia begins and the process continues through the steps to the new evolved version of you. It just feels wrong to think about forgiving someone who “did you wrong”. So after all of this purposely hurtful behavior – I am suppose to forgive them??? Let the past stay in the past. It’s their bad, not mine. Don’t let someone else’s bad behavior effect or Change my Good behavior. Forgiving someone doesn’t mean that you forget who and what they are or what they did to hurt you. That would be foolish on your part. Because what someone does once – they will often do again and again. It is who they are. But you can change the way you feel about what happened. 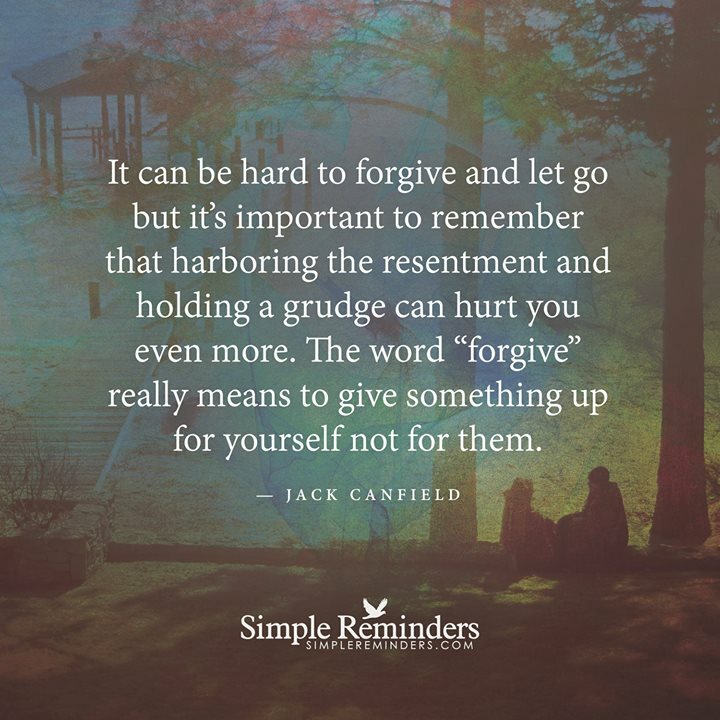 Forgiving means that you basically “Let it go” to free yourself from the negative lingering emotions that are attached to this person. You get rid of the poisonous thinking of resentment. 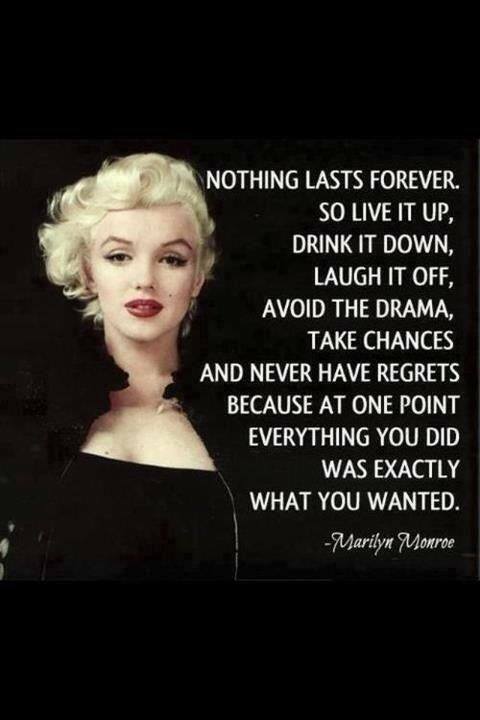 Enjoy your life. If people are mean to you just keep up your good work and draw different people to yourself. The sooner you move on the more time you will have to experience more good people and events for the rest of your life. Be blessed and then go and bless others. Allowing people inside your life is a beautiful thing. 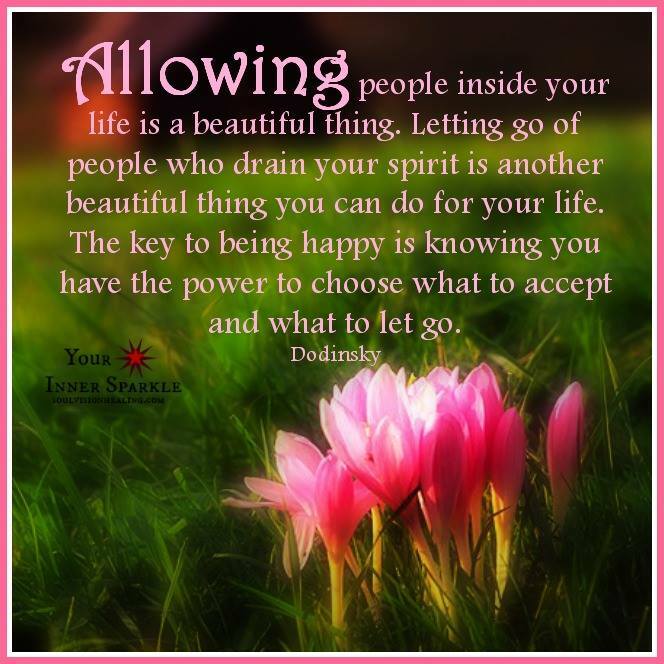 Letting go of people who drain your spirit is another beautiful thing you can do for your life. The right people really do make a big difference in the quality of life you live. It could be that the people surrounding you are keeping you in an endless loop for their own benefit – not yours. Draining your spirit more every day. If you find your own path – you might not need them anymore. You may be strong enough to follow your own path that leads you away from them and their personal agenda. And then you have the choice of letting in new people. People who have your best interests in mind. Allowing them into your personal space where they are beautiful additions to you and your growth because they have your back – instead of stabbing you in it. Use your power and allow good people in your life to surround you and support you today. that would last the rest of our lives. When you make the effort to seek self discovery, you may find some sharp painful insight along with the rest of the information you find out about yourself. It is only as you get to know the truth about yourself that you can allow yourself to change the things you don’t like into more positive things. If you just ignore the negative aspects of yourself, you will remain in the dull unconscious state of being that remains. It’s up to you to decide whether you want to remain in the slow flow or whether you want to go for the express lane of life that may have a little more discomfort in the discovery stage but results in a life filled with more satisfaction. 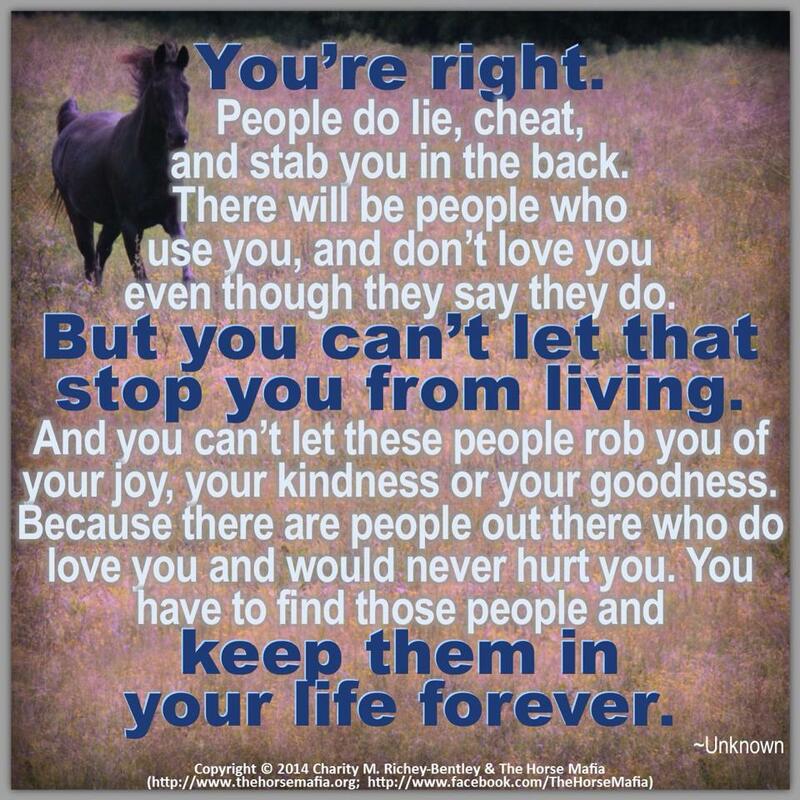 People do lie, cheat, and stab you in the back. There will be people who use you, and don’t love you even though they say they do. But you can’t let that stop you from living. And you can’t let these people rob you of your joy, your kindness or your goodness. Because there are people out there who do love you and would never hurt you. You have to find those people and keep them in your life forever. Don’t give up because you have experienced some things that aren’t right for you. Keep seeking and looking for better and better things in life. A lot of people are self centered and looking out only for them selves. Live a life of joy and harmony and let others like you appear when the time is right. Be satisfied with your own life and don’t worry about what any body else is doing.